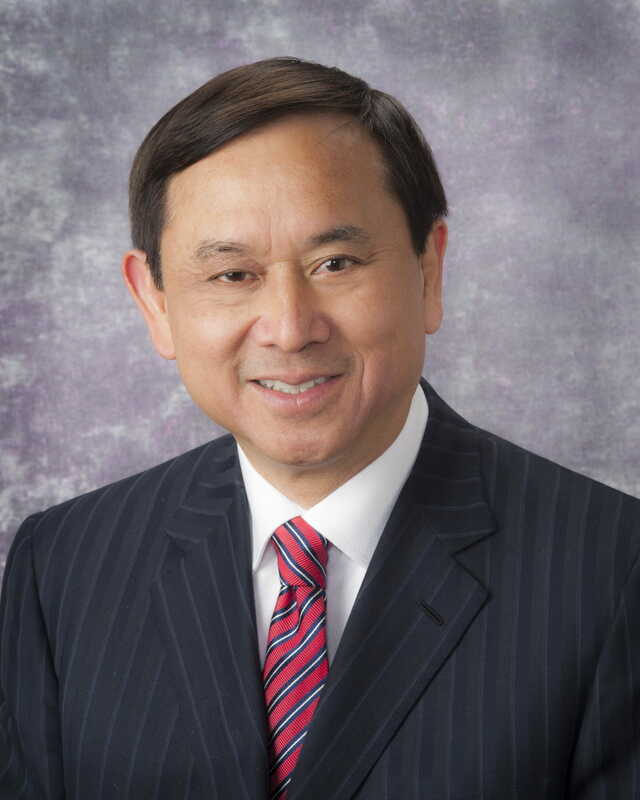 Freddie H. Fu, MD, has been the chairman of the Department of Orthopaedic Surgery at the University of Pittsburgh School of Medicine and the University of Pittsburgh Medical Center (UPMC) since 1998, where he is the David Silver Professor of Orthopaedic Surgery. He has been the head team physician for the University of Pittsburgh Department of Athletics since 1986. He also was instrumental in the establishment of the Sports and Preventive Medicine Institute in 1985. Under Dr. Fu's medical directorship, the facility - now called the UPMC Rooney Sports Complex - has grown into one of the world's largest, most comprehensive and highly regarded sports medicine clinical and research centers. In 2000, this world-class center moved to its new home within the expansive, state-of-the-art UPMC Sports Performance Complex. The complex, partly designed by Dr. Fu, also houses the indoor and outdoor training facilities of the University of Pittsburgh Panthers and the Pittsburgh Steelers. Dr. Fu holds secondary appointments at the university as professor of physical therapy and health physical and recreational education at the University of Pittsburgh School of Health and Rehabilitation Sciences. He also holds an honorary doctorate of science degree from Point Park University and an honorary doctorate of public service from Chatham College. He also established the University of Pittsburgh's Sports Medicine Fellowship Program, which attracts physicians from all over the world to learn surgical techniques and conduct research with Dr. Fu and his colleagues in the department of orthopaedic surgery. Dr. Fu received undergraduate and post-graduate degrees at Dartmouth College and Dartmouth Medical School before earning his medical degree at the University of Pittsburgh in 1977. Continuing his training at Pitt, he then completed a residency in orthopaedic surgery and a fellowship in orthopaedic research. Dr. Fu also fulfilled an internship in general surgery at Brown University and an international fellowship at the Hanover Trauma Center in Germany. He joined the University of Pittsburgh School of Medicine faculty in 1982 as an assistant professor of orthopaedic surgery and director of sports medicine. He become clinical vice chairman of the department of orthopaedic surgery in 1990 and executive vice chairman in 1994. Dr. Fu is an author of more than 600 peer-reviewed articles and has made over 1,200 national and international presentations, co-authored 173 books chapters, and edited 30 major orthopaedic textbooks. Former president of the Pennsylvania Orthopaedic Society, he has been a member of 55 other professional and academic medical organizations. Because of Dr. Fu's medical achievements and their impact locally as well as world-wide and his many contributions to enrich the Pittsburgh community, at the end of 1999, Pittsburgh Magazine named him one of the 100 most influential Pittsburghers of the 20th century. He is consistently listed in the magazine's annual "Best Doctors" issue. Also in 1999, the Allegheny Cycling Association gave Dr. Fu its award for Outstanding Service to the Cycling Community in recognition of Dr. Fu's sponsorship of many local cyclists and his constant support of many local cycling events. In May 2002, the YMCA of Pittsburgh honored Dr. Fu with its 28th Annual Person of the Year award. And, in 2004, Dr. Fu was named Vector’s Pittsburgh Man of the Year for Community Service. A brief look at Dr. Fu's extensive community involvement includes service as co-chairman of the Pittsburgh Local Organizing Committee of the 2005 Summer National Senior Games - The Senior Olympics; chairman of the board and executive medical director of the City of Pittsburgh Marathon Inc. from 1985 through 2003; company physician and member of the board of trustees for the Pittsburgh Ballet Theatre; and team physician for Mt. Lebanon High School. Dr. Fu is also involved in the WQED Children's Festival Chorus and honorary board member of the Parental Stress Center. He has served as honorary chairman for various functions of the Pittsburgh Employment Alliance and is an active member of the Organization of Chinese Americans.